I am fascinated by oxymorons. These hypocritical expressions really don't mean anything at all, do they? For example, what, when you REALLY think about it, is a "Jumbo Scrimp?" What does it mean to have an "original copy," or "freezer burn?" Have you ever gotten an "exact estimate" or "plastic glasses?" We all know what these terms refer to, but upon closer examination they really do seem quite odd and silly. During Holy Week, specifically on Great and Holy Friday (which is an oxymoron in and of itself- seriously, we refer to the day that Christ is Crucified as "Great" and "Good. "), we will read about the "Good Thief." How can a thief be good? If he were being punished by crucifixion, then he must have committed a horrific crime. Crucifixion was used for slaves, rebels, pirates and especially-despised enemies and criminals. Therefore crucifixion was considered a most shameful and disgraceful way to die. Our Lord was severely beaten and crucified for our sake, namely, forgiveness of our sins. This "Thief," the good one, was being punished for an appalling crime, he wasn't a good person. Through Christ's compassion he finds salvation. This "Good Thief' is actually "The Ultimate Thief." He stole his way into the Kingdom of Heaven! We are told in the earlier chapters of the Gospels by our Lord that we can find salvation even at the 11th hour! The Ultimate Thief was able to get his foot into the Kingdom at the last minute of that 11th Hour! There are three lessons can we learn from this Thief's transformation and repentance. First, Christ is approachable, second, Christ wants us to be with Him, and lastly, Christ keeps His promises. The first lesson we can take from this Thief is, "There is never a bad time to approach Christ." Our Lord was hanging on a cross, in a lot of pain, and feeling the anguish of the persecution, and yet this brave man endearingly asks the Lord for permission to be with Him in the Kingdom. Apparently, there are times when we go through life thinking that we can handle our difficulties on our own. Sure enough, the Thief was on the verge of death and knew that his end was near. In his desperation he knew to turn to Christ. It is imperative that we have the same desire to turn to our Lord in moments of pain. Another lesson we learn from the "Ultimate Thief," is it doesn't matter what your past was like, it depends on your attitude at the present moment and your desire to change your ways. As mentioned previously, the Thief was on the verge of his death, and he knew that his past was checkered with wrong-doings, but his desire to be with Christ led him towards a contrite heart. Let's not forget that a few hours earlier, this "Ultimate Thief' was ridiculing Christ with the other Robber on the cross. It is only after our Lord says, "Father forgive them," that the Thief has his change of heart. Notice that Christ doesn't say, "Please Father, forgive them," but emphatically says, "Father, forgive them." The Ultimate Thief realizes the authority possessed by Christ and comes to identify Him as Lord and Savior. We should never be ashamed of what transpired in our past, Christ cares about our desire to change, repent and live a new life in Him! The final lesson we can learn from this Ultimate Thief is Christ keeps His promises. In our Church's great wisdom, through Her Tradition and prayers, this Ultimate Thief is remembered at every Divine Liturgy! Prior to approaching for Holy Communion, faithful Orthodox Christians pray, "I will not kiss you as did Judas, but hike the thief will I confess to you: "Lord, remember me when You come into Your Kingdom." The fact that our Church uses the Thief's dying words to also express our desire to be in communion with Christ and to be with Him in the Kingdom additionally proves that the Thief was made a citizen of the Kingdom. As we gather our thoughts and reflect upon the events that emerge because of Holy Week it further strengthens us to know that our Lord can take an oxymoron and turn him into a Citizen of the Kingdom of Heaven. Far is it for us to decide who gets in and who stays out, that judgment is reserved for our Lord! What we should be concerned with is our, genuine, desire to be in the Kingdom with our Lord. When a conversation includes an oxymoron, or when any of life's circumstances offer you a chance to use an oxymoron, allow your mind to recall the Thief on the Cross, the GOOD Thief on the Cross and how he edged his way into an eternity with God. Maybe the next time you are stuck in "Rush Hour," told to "Act Naturally, or have a craving for "Junk Food" your mind might summon the actions of the GOOD THIEF. The recent drought and the threat of “El Nino” have given me the opportunity to reflect on Great and Holy Lent. Every Spring I give thought to what I’m going to give up for Lent, as if taking something away from my everyday routine or diet is going to help my spiritual growth. Lenten spiritual growth should be compared to the care of a garden. There are very few things to take away from a garden to keep it healthy. Actually, it is imperative to add items, and of course, when a weed appears we quickly pluck it. The health of the garden relies mostly on what is added to it. This is how we should approach Great and Holy Lent. Year after year we talk about what we are “giving up” for Lent: meat, dairy, television, rock music, video games, etc. Removing certain items from our lives is a good practice and an integral part of a productive Lenten Season, but the things we give up are similar to weeds. Merely plucking the weeds does not insure the health of the garden. It takes hard work! The garden needs good soil and adequate sunlight and water to grow. Much like our souls require a steady course of prayer, almsgiving and Holy Scripture to do the same. We are not going to mature in our Faith by simply altering our diet. It is just as important to consider what we are going to add in to our Lenten regimen as it is to purify our bodies and environment by giving things up. Imagine willing a garden to grow without the proper amount of water, sunlight and good soil. You can grab a cold glass of lemonade and beg the seeds to mature as you stand by idly, or you can roll up your sleeves and give the garden what it needs to succeed. The same is true of our souls. During the forty plus days of Lent, how are we imagining the appearance of our souls? We have the opportunity to tend to our souls and let them grow full and strong, or we can stand by and risk them becoming barren and dry. Lent is a time for discipline, but it’s also a joyful time in which we open our hearts and souls so that God can sow the seeds of faith that will grow and give us strength for the challenges we face throughout the rest of the year. Let us examine our hearts and souls, making sure we pluck the weeds that we find, but giving even more energy to ensuring adequate resources for growth in our faith, and in our love for each other. O Lord and Master of my life! Take from me the spirit of laziness, faint-heartedness, lust of power, and idle talk. But give rather the spirit of chastity, humility, patience, and love to Your servant. Yes, Lord and King! Grant me to see my own errors and not to judge my brothers and sisters, for You are blessed unto ages of ages. Amen. REGULAR, PROMPT ATTENDANCE AT DIVINE LITURGY ON SUNDAYS Regular indicates consistent attendance and prompt means being on time. We are on time for soccer games, work and school, and few of us would pay $10 to walk into a movie 20 minutes late. It is time for us to re-devote Sunday as a day of worship, literally The Lord’s Day. We should be at church no later than 9:45 am on Sundays. DAILY PRAYER In order for our community to be focused on Christ, each of us, individually, needs to be set on Christ. Each day should begin with an intimate and personal conversation with Christ; TRUE PRAYER for at least ten minutes in the morning and ten minutes in the evening. Prayer should also be offered before meals. As you pray over your food, think about offering thanks to God for the blessings in your life, and also remember those less fortunate. GIVING OUR TIME Join, sign-up, or assist with a ministry of the Church. Cheerfully offering time to the choir, Philoptochos, Sunday School, or one of our many fundraisers can bring a great feeling of connection to the Church and satisfaction to your life. EDUCATING OURSELVES IN THE WORD OF GOD Reading the Gospels and meditating on God’s Word is essential to Christian growth. Come to our Orthodox Study Classes and read the Bible daily. FORGIVENESS Mend relationships that, for one reason or another, have deteriorated. Ask for and seek to of-fer forgiveness. Do not wait for the other person to extend the olive branch; offer reconciliation and pray for those with whom you’ve been in conflict. The Steward Ship, Get on the Boat! The Steward Ship is the newest and latest craze! It is a way to encounter fascinating and exciting adventure! The Steward Ship will change your life. Let the Steward Ship transform your outlook. . . take a little trip . . . and . . . GET ON THE BOAT! The Steward Ship offers youth, energy, and renewal! It offers direction for the lost, hope for the hopeless, and does not cost you anything more than what it has already given to you. Imagine that, receiving all this at a value you decide! The Steward Ship’s Captain is expecting you to board, He can’t wait to see you. The Sail has been adjusted, the invitation is set, and the Destination awaits you. You say you don’t have TIME to get on the BOAT. You say you don’t have enough TREASURE to share for your ride. You say you don’t have the TALENT to assist with the direction of the BOAT. No worries! The Captain (our Savior Jesus Christ) wants you on the Boat. The Sail (the Holy Spirit) will guide you. The Destination (the Kingdom of Heaven) awaits you. How are you using your TIME, TREASURE, and TALENT? Is the Boat afloat only when you think you want to take a casual cruise? Do you want the confidence of owning a season pass to ride the BOAT forever? What can you do? 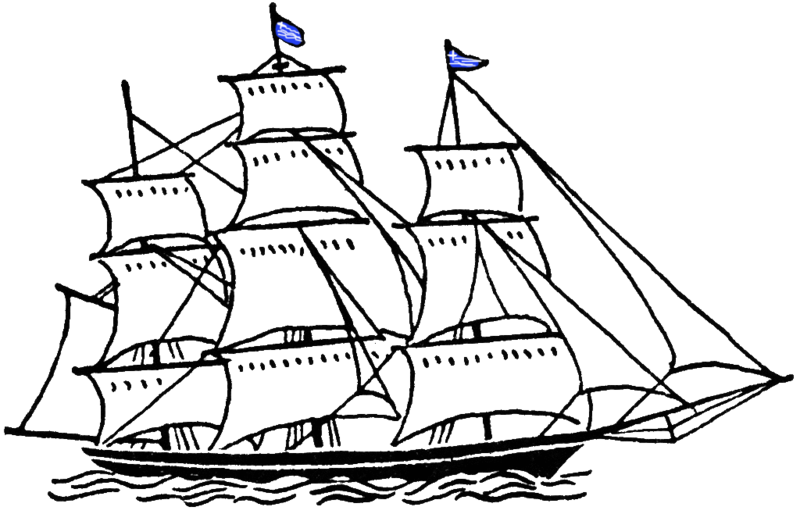 The Steward Ship needs you to provide your TIME, TREASURE, and TALENT. Volunteer to assist with the various ministries our Cathedral offers. Are you a teacher? Then teach. Do you enjoy meeting and greeting people? Then provide support at coffee hour after Divine Liturgy. Can you cook? Then cook! Do you enjoy a comfortable lifestyle? Then share a small percentage with your Church. Do you have a beautiful voice? Then sing in our Choir! The BOAT won’t set sail without you! The Steward Ship has a cabin for everyone! You have to decide how you wish to ride. What is the worth of arriving at the Destination? When you are given the option to enter the Destination, will you have secured your ticket? Every moment we are given the opportunity to share our TIME, TREASURE, and TALENT. Don’t pass on the ability to give! Don’t let the Blessings of the Steward Ship go unused! Help the Steward Ship set sail. Get on, take a seat, and ask what you can do for STEWARDSHIP! As we begin the New Year I want to urge us all to be PIGS! How much more invested is one that dedicates their entire being to the community, rather than just making an offering. Anyone can be involved, (and that can be a good thing), but it is commitment to one another, to Christ and His Church that is going to make our community successful! And success is determined by our faithful desire to be true servants of Christ! “Let us commit ourselves and one another and our whole life to Christ our God!” This wonderful petition is repeated many times during the Divine Liturgy. In everything we do, every ministry, from the oldest parishioner to the youngest, this petition serves as our premise and foundation of faith. In the Melanesian islands of the South Pacific during WWII, the natives watched closely as the American and British engineers came in and built airstrips. The islanders were amazed to see that when the airstrips were completed, planes began to arrive filled with cargo: food, building materials, machinery, even vehicles. This, they decided, was something they wanted in on. The Melanesians deduced, that if they built airstrips, then planes would come to them, too, likewise bringing cargo. They accordingly hacked makeshift runways out of the jungle and built mock-up control towers out of grass and mud. They put fires along the sides of the runways, and put a man in the grass-hut control tower, with two coconut halves on his head for headphones, they rigged antennas out of bamboo and then they waited for the airplanes to land. As far as they could see they were doing everything right. We, like the natives, can come into the sanctuary, light our candles, kiss the icons, do our cross, and make believe that we are fruitful Christians, or we can “commit ourselves and one another to Christ” and be the bearers His light! Commitment is defined in three ways: 1.) noun: the trait of sincere and steadfast fixity of purpose, 2.) noun: the act of binding yourself (intellectually or emotionally) to a course of action, 3.) noun: a message that makes a pledge. Faith, our Christian Ethos and “COMMITMENT” to one another and our greater community. In other words….Be a pig! St. Paul inspires the Hebrews to stand firm and increase their desire to be like Christ. In his letter to the Hebrews, at 12:1, he writes, “let us run with endurance the race that is set before us.” Life as a race is a metaphor we can easily comprehend. The clever athlete prepares weeks in advance, she doesn’t wait until the night before to start her training. As Orthodox Christians we are “ATHLETES FOR CHRIST.” In this month’s Myrrh-bearer, I would like to issue a “challenge” for the upcoming New Year, 2016. I ask that we all adhere to this “Spiritual Training” as a way for us to grow in our Faith. 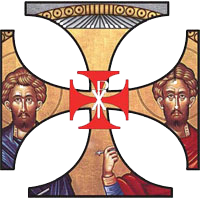 · Tuesdays: Pray for our Irene Chapter of the Ladies of Philoptochos. · Wednesdays: Pray for the Youth of our community: Altar Boys, Boy Scouts, Cub Scouts, Youth Dance Groups, Greek School and Sunday School teachers and their Students, and all the young people of our church. · Thursdays: Pray for our Parea Group, VIPs and all of the senior citizens of our parish. · Fridays: Pray for those who contribute to the enrichment of our Church. Pray for our Chanters, Choir, Staff, Stewards, Ushers, and Volunteers. · Saturdays: Pray for the parishioners of St. Demetrios and any one that might be sick, suffering, lonely or seeking to find God’s peace. · Sundays: Pray for the everlasting memory of our departed loved ones. 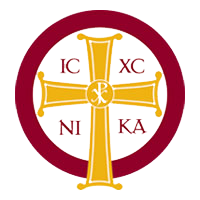 Pray for the Orthodox Christian Church. Our Patriarch Bartholomew, Metropolitan Gerasimos, all clergy, deacons, monastics who God has established to feed the flock of Your Word. 3. Educate yourself in the Word of God. A weekday, Monday-Friday, reading guide has been prepared for the year. By sticking to this plan you will read the entire New Testament (The Gospel of Matthew through Revelation) by the end of the 2016. Milestones are easily set and marked so that you do not fall behind. Reading and knowing God’s Word is essential to Christian growth. 4. Offer Forgiveness. Mend relationships that, for one reason or another, have deteriorated. Ask for and seek to offer forgiveness. Do not wait for the other person, you be the mature one and offer reconciliation. May 2016 be a year of spiritual strength and growth! Have a Happy New Year, and may the peace of God be with us all! “Give thanks to the Lord for He is good. For His mercy endures forever!” Psalm 136:1 On Thursday, November 26, we will celebrate Thanksgiving. This is an important holiday in our great nation; however, giving thanks is an even more important aspect of the Christian life. Businesses and schools will close so that we can enjoy the festivities with our families. What a splendid day! Surrounded by our closest friends and family, we stuff our faces with traditional foods like turkey, mashed potatoes, cranberry sauce, (and if you grew up in a Greek family, grape leaves; something the Pilgrims didn’t have!). In countries throughout the world, the last Thursday in November is exactly that, merely the last Thursday in November. It is nothing special, just business as usual. The work that we are called to do during liturgy is to pray, “pray for peace in the world, abundance of the fruits of the earth, and peaceful times.” All the prayers offered in the Divine Liturgy are presented in the plural form, “Let us pray,” “Save us, O Son of God,” “Let us be attentive,” “For our deliverance,” “We give thanks,” “Make us worthy, O Master,” etc! Our Lord pours His blessings and mercy upon us daily! He makes us worthy to receive His loving grace, and His love for us is boundless. That our country puts everything on hold, and as great as an American Holiday that Thanksgiving is, we should find ourselves giving thanks on a more regular basis. Our Lord has blessed us with so much. Our community of St. Demetrios should be thankful for the many great blessings we receive on a daily basis! October brings with it some very exciting events. Our kids are back in school, college football is back in full swing and hopefully a local team enters the World Series. The harvest is set and the lots are filled with pumpkins. Every good farmer knows that in order to harvest a crop you must first till the soil and prepare the earth. The same holds true for us Christians– we too are called to produce fruits of virtue. Christ reminds us of this in the parable of the sower (Matthew 13:1-9). The sower tossed seeds on a path, rocky ground, then some seeds fell in the thorns, and finally some were placed in the good soil. Consider the outcome of each of the settings the seeds rested. Those on the path were eaten by birds, those on the rocky ground sprang up, could not take root and fell, the seeds in the thorns were choked, only the seeds that fell on the good soil brought forth grain, some even one hundred fold! The seeds in this parable are likened to the teachings we receive from Holy Scripture, writings of the Saints, and instruction from our spiritual leaders. For the seed to take effect the soil must be prepared to accept it. The setting for the seed depends on how we choose to maintain the soil, how we choose to live our lives. What do we want to do with these kernels of wisdom given to us from God? If we leave them out in the open, giving no sincerity to its value (the road), the birds will take them away. If we deposit them on rocky ground ( a hard heart, full of pride) we do not give it the opportunity to settle, thus it falls away, and the world is bursting with thorns (anxieties and worries) waiting to choke it from us. We are called to continually maintain our soil of Faith. For the seed of Faith to cultivate in our hearts we need to practice and maintain the fruits of the spirit: love, joy, peace, patience, kindness, goodness, long-suffering, mildness, fidelity, modesty, continence, and chastity. Our hearts need to be clear of negativity to create room for the good seed. A hardened heart leaves no room for the seed to take root. Consistent and daily practice of tilling the fields (exercising our Faith) allow the seed to settle and blossom in our soul. Here are some very practical ways of make room for the sower (Jesus Christ) in our lives. First, we must read the Word of God daily. Find time in your day to read scripture and to reflect up-on it. You can do this from your computer in your home or office by visiting our Church’s website (www.saintdem.org) and opening the “Online Chapel.” If you do not have email, contact our church office for a list of the daily readings. Second, be positive and friendly. Not only should we look strangers in the eye and say “hello,” but we should greet each other with love and sincerity- showing genuine kindness. Third, forgive. Find it in your heart to forgive, or seek forgiveness from someone you may have hurt. Our ego and pride keeps us from doing so. The buildup of resentment makes it difficult for the Word (seed) to yield its fruit. Forgiveness should be something that we all make an effort to offer and request. Fourth, offer daily prayers. If you have a smart phone you can access several daily prayers on our Parish’s app. Again, visit our website and download the St. Demetrios App. Daily prayer and communication with God serves as an opportunity to lovingly connect with God. Lastly, get involved. The Church needs you now more than ever. With the Agape Building’s completion, we have plenty of positions and tasks that have been identified. Whatever your talents are can be put to use so that our community can continue to flourish. 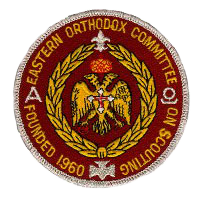 Please, find ways to volunteer at Saint Demetrios. What are your talents? Can you sing? Join the choir. Can you dance? Then teach Greek Dance. Are you willing to help others along in their faith walk/journey? Then educate our youth in Sunday School. You can use your abilities to help plant the seed of Christ in others. Christ ends the parable of the sower by exclaiming, “Let anyone who hears, hear!” This is our opportunity to till the soil, cultivate our souls, become shining examples and imitators of Christ! Yes, October is a great month! There are lots of things to enjoy and look forward to, but nothing will bring us more peace and joy, than that which comes from our Lord Jesus Christ!